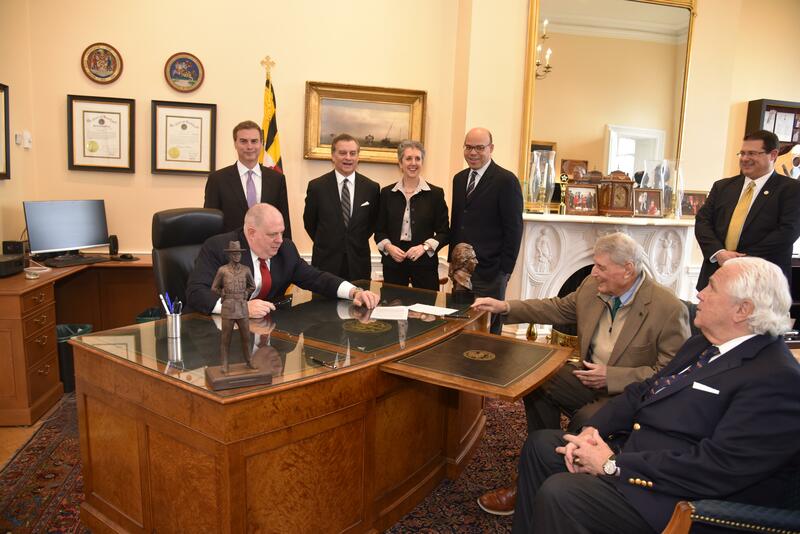 Maryland Governor Larry Hogan has signed emergency legislation creating a compact between Maryland, Virginia, and Washington, D.C. to create a new safety oversight commission for the Washington Metropolitan Area Transit Authority (WMATA). The governor was joined by Senate President Mike Miller, House Speaker Mike Busch, and several Montgomery County legislators including, Senator Brian Feldman, Senator Cheryl Kagan, Delegate Kumar Barve and Delegate Alfred Carr for the signing. The legislation, which was filed as an emergency Maryland Department of Transportation departmental bill, officially establishes the Washington Metrorail Safety Commission and the Metrorail Safety Commission Interstate Compact granting the Commission specified safety, regulatory, and enforcement authority over the WMATA system. The creation of the compact is contingent upon passage of identical legislation in Virginia and the District of Columbia. The Washington, D.C. City Council passed the legislation in December 2016 and the Virginia General Assembly passed it in March 2017.